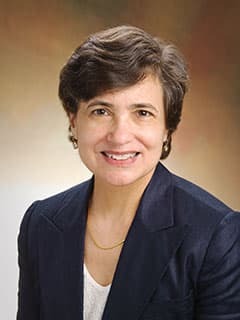 Carolyn A. Felix, MD, and researchers at the Center for Childhood Cancer Research, using MLL mutant zebrafish, have identified a number of previously unknown MLL-regulated target genes during the primitive stage of hematopoiesis in the embryo that indicate a novel role of MLL as a master regulator of the blood cell lineages in the nascent hematopoietic system. Additional studies using MLL translocation transgenic zebrafish are underway to understand the target cells of MLL gene translocations and transcription programs during leukemogenesis. Infant acute leukemias are embryonal cancers that are initiated by translocations of the MLL gene that occur in hematopoietic target cells of the developing embryo while in utero. Similar MLL gene translocations also are observed in leukemias that occur as a second cancer after chemotherapy for a first cancer with a class of drugs called topoisomerase II (TOP2) poisons. MLL translocations in infant leukemias and in secondary leukemias are known to be associated with a greater risk for poor clinical outcomes. Zebrafish offer the unique opportunity to understand how MLL impacts hematopoiesis in intact developing embryos at very early timepoints that are difficult to assess in mammals. The fertilization and development of the zebrafish embryo entirely externally to the mother makes this model ideal to visualize how MLL translocations cause leukemia to occur during embryogenesis. These zebrafish models and the discovery of the transcriptional targets of MLL and MLL fusion proteins provide new opportunities to discover smarter drugs to combat infant and secondary leukemias with MLL gene translocations.